The agency was performing well until the economic downturn hit. 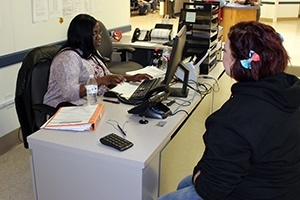 Then Cabarrus County DHS faced pressures common to human services agencies across North Carolina and the entire country – an influx of Medicaid clients from the Affordable Care Act, adjusting to the state’s case management system, NC FAST, and seasonally busy times for crisis or energy assistance. The agency worked hard to keep up with the volume of clients, but inadvertently neglected to keep existing business processes and software updated. They reverted to manual work-arounds that were confusing and frustrating to clients, caseworkers, and the administration. 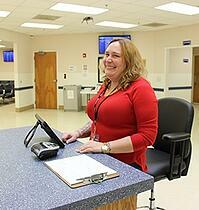 How Did Cabarrus County DHS Turn Things Around? Mitigate regression: Upgrade Compass® Appointments, fully utilize the appointment management software for caseworkers, and keep it on a current version to avoid caseworkers creating workarounds to the technology. Modernize business processes: Eliminate manual processes that can be automated in Compass Appointments to free up caseworkers and clerical workers to improve efficiency. Improve communication: Develop a cross-functional change management team, update standard operating procedures (SOPs), and develop ongoing communication and training for workers to improve morale and reduce regression. Improve customer service: Redesign the lobby and add a greeter to improve client flow, reduce client wait times, and reduce frustration. Enforce the SOPs so the process is consistent for every client at every visit. "Someone this morning said 'I'm so glad to see somebody instead of a machine.' People like to see a smiling face when they walk in." "I think this new system has really allowed us to improve the customer flow, the lobby flow. People are getting immediately served and immediately queued instead of sitting down waiting and getting impatient. I think we've gone from a really outdated system to where we need to be and it's been phenomenal,” said Ben Rose, Director of Human Services. The changes mean happier clients and caseworkers, who can focus on doing what they do best: helping people in need. 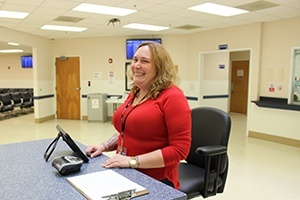 To learn more about Cabarrus County DHS’ story, download the written case study and check out these firsthand reactions in the four-part video case study series. Greg Tipping is the Chief Services Officer for Northwoods, where he is responsible for project implementations throughout the country. Greg worked very closely on this project with Cabarrus County DHS and can’t say enough great things about the agency’s success.